Check out this preview of Mike Judge’s new animated show, The Goode Family, premiering Wednesday, May 27 at 9PM on ABC. Dragonâ€™s Lair II: Time Warp, the long awaited sequel to the award-winning game Dragonâ€™s Lair, has been completely restored and enhanced with an all-new 5.1 surround sound mix and will be available on Blu-ray this June. 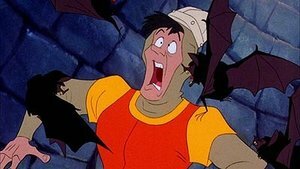 From legendary animator Don Bluth, Dragonâ€™s Lair II: Time Warp is an interactive movie that allows you to play the heroic Dirk the Daring, who must stop the Evil Wizard Mordroc as he has kidnapped Princess Daphne and taken her through time. But you must hurry, for once the Casket of Doom has opened, Mordroc will place the Death Ring upon Daphneâ€™s finger in marriage and she will be lost forever. – Extras â€“ An animatic of the lost â€˜Pirate Shipâ€™ scene, progression reel and more! All of the special features on the disc were shot natively in 1080p including all-new interviews with creators Don Bluth and Gary Goldman, and for the first time a full length visual commentary of the game. Illumination Entertainment announced today that it will create a 3D animated movie based on Ricky Gervais’ “Flanimals” children’s book series. The four-volume book series tells the story of 50 ugly creatures who turn out to be quite cute. Gervais will play a chubby purple creature who’s on a mission to change the world. Gervais will serve as executive producer and will also voice the lead character. The script will be written by Matt Selman, whose credits include The Simpsons Movie. 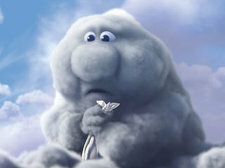 The folks over at AWN had the opportunity to interview Peter Sohn, director of the new Pixar short film, “Partly Cloudy.” The short will play before Pixar’s upcoming feature “Up,” in theaters May 29. Peter Sohn was previously an animator/story artist on various Pixar films, including Ratatouille, The Incredibles and Finding Nemo. AWN: Talk about the pitch and how it went from there. 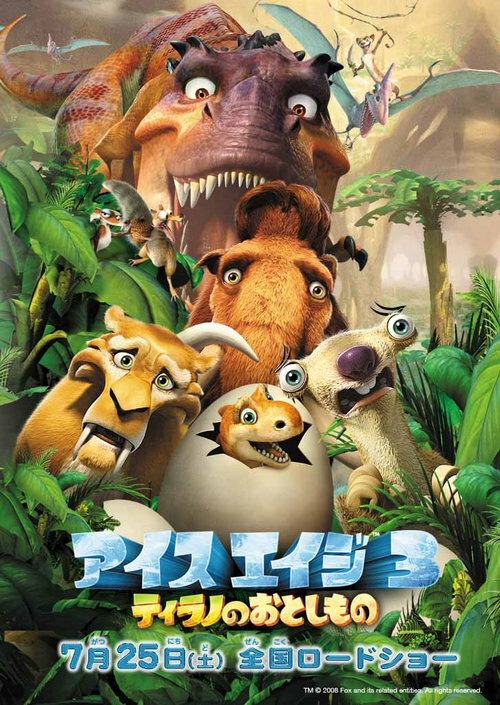 Peter Sohn: The original pitch was just as I explained: There’s the world of storks that deliver babies, but where do they get these babies from? And my answer was obviously the clouds. And I had done some drawings of these cloud characters — taking some photos and Photoshopping eyes and a nose in and then having some birds all flocking up to the skies. I pitched this story of a smaller gray cloud that [lived below and] made some of the dangerous babies. And I showed John these images and he touched on one of them and said let’s start developing this one. And that was close to a year-and-a-half ago and it’s been a really interesting learning experience for me. Obviously, this is my first [short]. It really is like raising a baby. I felt very much like Gus during this thing — making something and wanting people to like it. Read the rest of the interview at AWN. Cartoon Network’s Adult Swim announced today that it will air a new, adult oriented G.I. JOE mini-series on TV and online. G.I. JOE: RESOLUTE will air in ten 5-minute episodes and one 10-minute finale, for a total of 11 episodes with a runtime of 60 minutes. Fans cans watch the series on AdultSwim.com and on TV April 25 at midnight. Tiny Toon Adventures Season 1 Vol. 2 DVD set features the final 30 episodes of the series’ first season. It is available for purchase now at retailers or online at WBshop.com. The second and final season DVD set of the popular 90s cartoon features 11 episodes. It is available now at a retailer near you, or online at WBshop.com. Teenage Mutant Ninja Turtles: Season 7 on DVD May 12. The fine folks over at Empire Magazine, which is celebrating its 20th anniversary, have gotten an exclusive interview with Tom Hanks in which they talk about his upcoming projects, including the much-anticipated Toy Story 3. According to Hanks, he has gone through three complete recording sessions and will no doubt have to do at least one more within the next eight months. He then compares animated film work to “beasts,” revealing that he will probably have to go in for even more sessions after his presumed last. Synopsis: When 9 (Elijah Wood) first comes to life, he finds himself in a post-apocalyptic world. All humans are gone, and it is only by chance that he discovers a small community of others like him taking refuge from fearsome machines that roam the earth intent on their extinction. Despite being the neophyte of the group, 9 convinces the others that hiding will do them no good. They must take the offensive if they are to survive, and they must discover why the machines want to destroy them in the first place. As theyâ€™ll soon come to learn, the very future of civilization may depend on them.